Imagine a Bollywood movie that is original, entertaining and fun in a family friendly way without bowing to any stereotypes. It's difficult to think of any right? Well, that's how surprised I was when watching 'Phillauri', a movie with such a unique story and entertaining tone that it stuns in a subtle way from beginning to end. 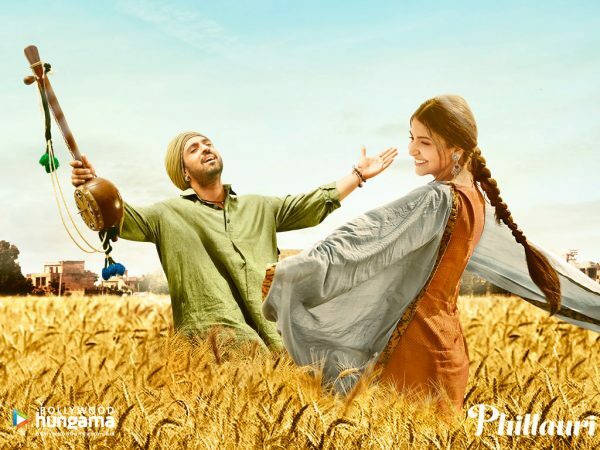 'Phillauri' is a high concept Bollywood movie with an incredibly original story. 'Phillauri' starts off with the return of Kanan (Suraj Sharma) back home to India for his marriage to high school sweet heart Anu. (Maharanee Pirzada) However, given an astrological blemish on his horoscope, which is used in Hinduism to determine the most auspicious time to get married, Kanan will have to perform a straight forward, albeit odd ritual before the family can proceed with his wedding. In order to rid himself of the bad omen in his stars, he will have to marry a tree, after which he is free and clear to marry Anu. An act that the Non Resident Indian himself considers ridiculous and is pretty hesitant to partake in. So imagine how worse things get when he realizes that he actually ended up getting married to a ghost named Shashi (Anushka Sharma) that has been living in the tree for 100 years. The story itself is fun and engaging while being completely out of left field in a Bollywood movie, in the best possible way. Writer Anvita Dutt, after being involved with so far small roles behind the camera in forgettable films, pens a story that takes full advantage of its cast, and the typical staples of South Asian culture to create a film that is counterintuitive to the typical Bollywood tropes. Attempting to deal with obvious cold feet regarding his wedding, and also an apparent ghost-wife that only he can see, Kanan's life just got a lot more complicated. This odd-ball pairing of an out of time conservative Indian woman and a millennial, provides some amazing light hearted comedy in the first half of the film, as Anu is very aware of Kanan's misgivings, while other hilarious misunderstandings ensue. The second half of the film tries to uncover why Shashi is still a ghost and has yet to move on into the after-life. This is where 'Phillauri's genius, and debutant director Anshai Lal's skills really come through, as we are treated to two parallel stories set 100 years apart. Lal handles this concept a lot better than other films that did something similar, like 'Love Aaj Kal' or 'Rang De Basanti', but a lot more naturally than the former, and a lot more light hearted than the latter. The past shows us a very much alive and different Shashi, the younger sister to the village's only doctor, and a proud and independent young woman, harbouring a secret passion for poetry. She comes across the village's casanova minstrel, (Diljit Dosanjh) a womanizer with a voice of gold, squandering it with drink and temptation. When they collide, her passion and good nature force him to become a better man, while through him she finds an outlet for her talent. It's a beautiful love story, told at a brisk pace, while still effectively conveying all the emotional depth necessary for it to impact the audience. While being the lead of 'Phillauri', Anushka Sharma also produces the film under her own banner of Clean Slate Films after her other ground breaking film 'NH-10' in 2015. Sharma's approach to take control of her own career with her own production house, creating the opportunities for herself to be involved in and tell original stories within Bollywood is something that is very admirable. Especially in an industry when actresses are beholden to others for those kinds of roles and opportunities. This independent approach even comes across on screen within Shashi, who is almost like two different people in two different time periods. Sharma plays Shashi in the past as a very strong and outspoken headstrong young woman, while the out of time ghost Shashi is very taken aback, and at times fully shocked, by the modern advances she's been absent for, almost like an old grandma. 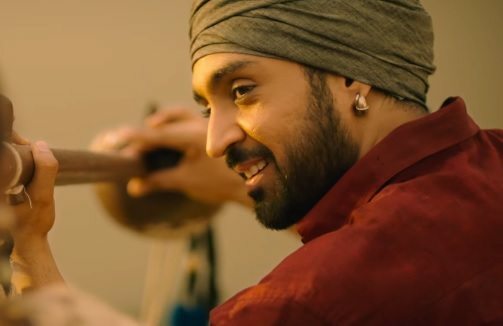 After his breakout debut into Bollywood with 'Udta Punjab', Dosanjh proves his acting range in another delightful role and almost steals the show away from Sharma, if not for their pretty amazing chemistry. The younger couple played by Suraj Sharma and Pirzada are just as charming and sweet, especially in their naivety, in contrast to the epic love story they get to witness. 'Phillauri' is a movie with a story that doesn't always go where you would expect. It's completely counter intuitive to the usual Bollywood fare. Dutt had many opportunities to make this story very conventional, but still dramatic; her use of the older brother played by Manav Vij, could easily have been the film's antagonist, but Dutt writes him as a proud but loving brother who truly cares about his sister, instead of his honour, and Vij plays him just as astoundingly. I can confidently say that thus far in 2017, 'Phillauri' is the best film of the year, and has been made with amazing talent both in front of and behind the camera by all involved.